Time and quality were of the essence for Wienerberger, the UK’s leading provider of bricks, blocks, roof tiles, and pavers as well as a comprehensive range of building solutions. 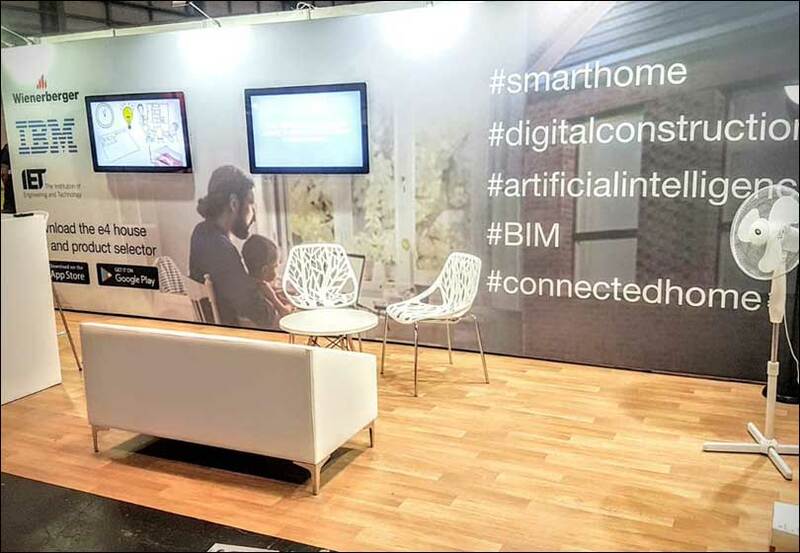 An exhibition stand was required in just a few weeks’ time for Digital Construction Week. In addition, not only did it have to successfully represent the brand, it had to face the scrutiny of the visiting CEO. 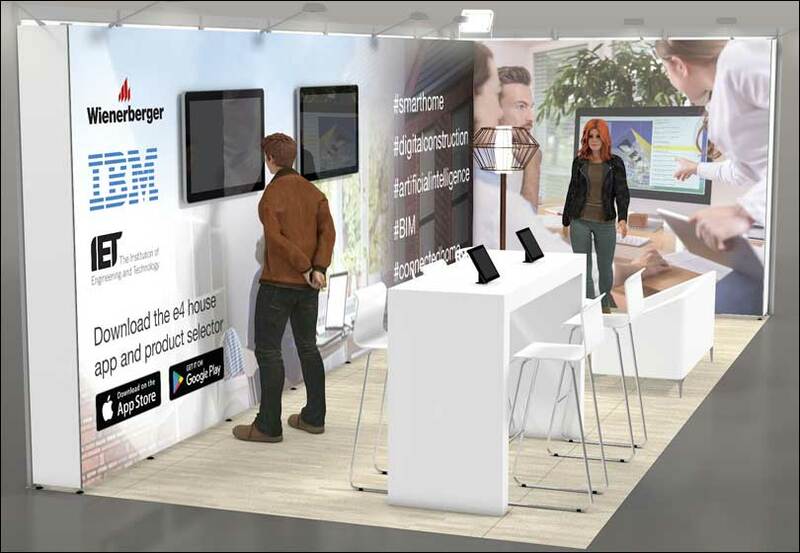 It was decided the best solution in the relatively short timescale was to use custom-printed tension fabric attached to a modular display system. This would be complemented by suitable furniture, digital displays, and computer tablets. He added: “The stand looked great. I’ve never been disappointed with anything that I’ve done with Merit. And, with our CEO coming over from Vienna, we wanted something top quality.